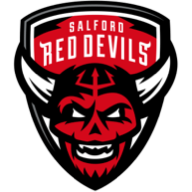 Salford are the unlikely early-season pacesetters in Betfred Super League after running out 24-0 winners over London Broncos at the AJ Bell Stadium. The Red Devils followed up their opening 34-14 win at Huddersfield with another emphatic result to go top of the embryonic table. Full-back Niall Evalds followed up his hat-trick against Huddersfield with one of four tries while Watson will be delighted with a defence that has conceded just two tries in 160 minutes so far. The Broncos, who won just one game in the whole of their last season in Super League in 2014, matched that tally after the opening-round against Wakefield but this was something of a reality check for Danny Ward's men. 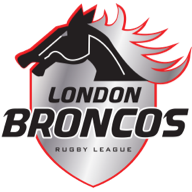 London put themselves under early pressure when stand-off Jordan Abdull lost the ball on his own 20-metre line and Salford prop Lee Mossop reached the line only to be held up. The Broncos spent most of the first period camped inside their own half, rarely able to put the home side under pressure, but they defended heroically with full-back Alex Walker a rock-solid last line of defence. The only try of the first half came midway through it when scrum-half Jackson Hastings fired out a long pass to second rower Josh Jones, who got winger Ken Sio racing over for a try on his home debut. Hastings added the conversion but was wide with a drop-goal attempt on the stroke of half-time while Sio was denied a second try by a forward pass. Salford eventually added to their score second three minutes into the second half when Evalds' grubber kick struck a post and bounced kindly for Hastings to score his first try of the season. The Australian converted his own try and put over a penalty on 55 minutes to stretch his side's lead to 14-0. Evalds then made sure of the victory when he touched down Hastings' kick to the line and Hastings took his points tally 12 points with his fourth goal. The Red Devils finished the game with 12 men after Mossop was sin-binned for foul play but they still managed a further try when Jones crossed wide out a minute from the end.